“It started as something fun for us and our developers“, said Maggie Jan, Director of Developer Advocacy at Keen IO. “It was a a fun way of them getting a t-shirt, rather than just giving it to them for signing up“. The genius of this approach is that in order to receive the shirt they actually have to implement the API. In other words the receive the t-shirt after fully engaging with Keen IO’s product, meaning they actually see it at work, and understand its ease of use. It’s kind of the same strategy that Chew.TV employed when giving away t-shirts – incentivise users to reach a point of the usage that meant they were much more likely to become repeat users. It’s a relatively tiny cost to get users engaged more with their product. An incentivised “test-drive” that means that they haven’t just got a free t-shirt for a product they barely know, or care about. They understand it, even if it’s just at a basic level. And, what’s more, they can even recommend it to others with a degree of knowledge. “It just shows off what our API can do“, said Maggie. “Once they’ve correctly implemented the API call, we get a notification with their preferred size and address, and then we pack and dispatch it to them. We try to include, stickers, a fun note, perhaps a toy“. Maggie said that it’s lovely that they then receive tweets and Instagram posts of people in their t-shirts all over the world. “We’ve had messages and photos from Brazil, Puerto Rico, Spain… They’re not just seen at local tech events. They’re all over the world. Although we do often see them around San Francisco at hackathons etc“. What this means for Keen IO is global visibility, engaged developer-users, and a sense of fun associated with their brand. 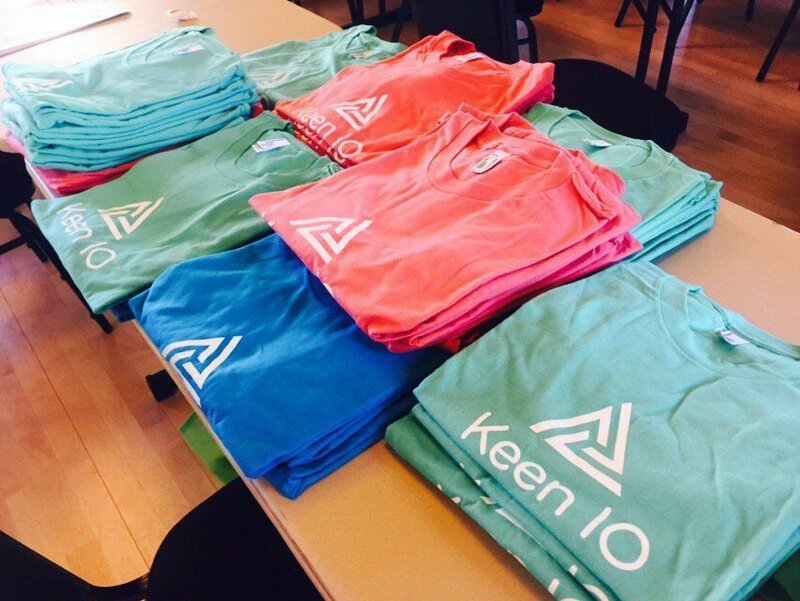 It’s easy enough to give users t-shirts, but it’s clear from just a handful of these tweets from around the world that the Keen IO team go the extra mile. “This t-shirt Easter egg is very ‘on brand’ for us“, says Maggie. “It’s something surprising and delightful. Plus, you need to know what you’re doing to actually get one“. Here at Ramp we’re obviously advocates of t-shirts as a way of not only increasing awareness of your product and service, but also engaging users for just a few dollars, pounds or Euros. But Keen IO demonstrate that it’s worth going the extra mile to delight them! 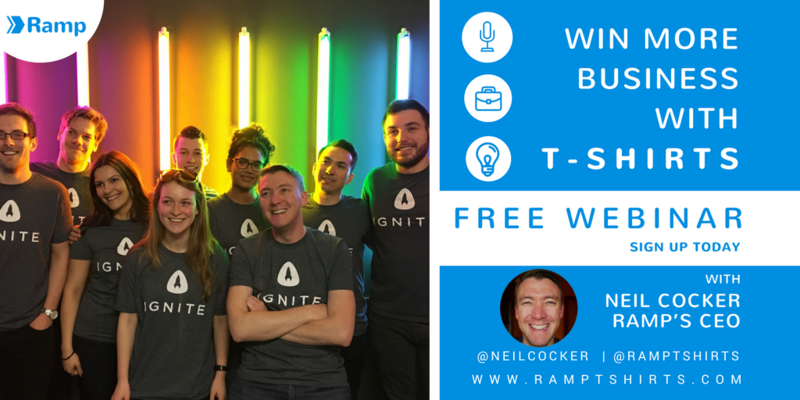 How can you incentivise your users to engage with your product? How can you delight them? Or maybe you already do, and you’d like us to write about it? Drop us a note in the comments below, or email support@ramptshirts.com. * Pssst, look for “Wardrobe Resource”.